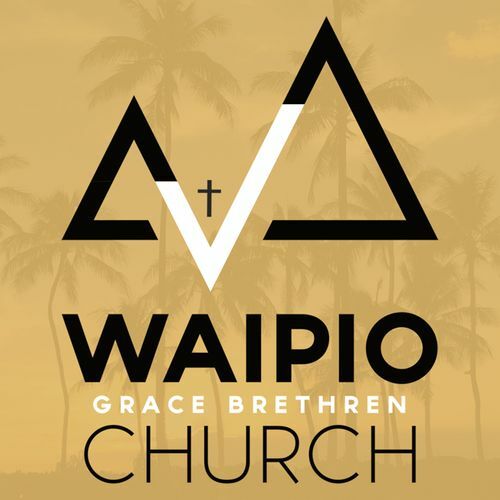 The vision of Waipio GBC is to be a home for the family of authentic believers whose lives have been transformed by the life-changing truth and reality of the gospel, and to continue to grow in the knowledge of our Lord and Savior, Jesus, as He has been revealed in God's authoritative Word. 1: We Are All Sinners. We, however, have chosen to disobey Him and sin against Him; all of us have done wrong and failed to do what is right. (Romans 3:23) We may not be more sinful than our neighbor, or we may be far worse than anyone we know, it does not matter. Either way, we are guilty before God. 2: The Penalty for Sin is Death. God is perfect, completely good, always right and fair. He cannot tolerate sin. He cannot simply overlook the fact that we have chosen to disobey Him. The Bible says “the wages of sin is death.” (Romans 6:23) This means that the fair payment for our rebellion against God is death. It is the punishment that we deserve. 3: Christ Died for Us. Jesus, the one and only Son of God, came to earth and lived a perfect sinless life. He was crucified even though He was completely innocent. He received the punishment that we deserved. He was the perfect sacrifice, He was put into our place and took on Himself the sentence of death that should have been ours. 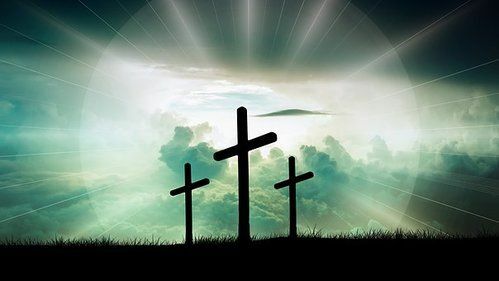 (Romans 5:8) Jesus did not, however, remain dead. After three days, He rose from the grave and later ascended into heaven. He will return for all those who are trusting in Him as their Savior. 4: You Can be Saved. Trough Faith Jesus died for you. (John 3:16) You can be saved by believing in Him and asking Him for forgiveness from your sins. If you are willing to repent of your sin, He is waiting to forgive you. It doesn’t matter what you have done in the past, if you cry out to Jesus for forgiveness, He will not reject you. The word “repent” literally means “to turn away from.” You need to look at your life, admit that you are a sinner, genuinely desire to turn your back on sin, and ask Him to forgive you. If you do this, He promises to forgive you. True Christianity is not about attending a particular church, or how your parents raised you, or what country you were born in. Being a Christian means that you have a personal relationship with Jesus Christ, that He is your Savior. It’s not good enough that your priest, pastor, mother, or aunt knows Jesus, you must know Him for yourself. They cannot believe in Him for you, you must believe for yourself. They cannot repent for you, you must repent for yourself. Jesus is everywhere all the time. He can hear you now if you ask Him for forgiveness. Please turn your life over to Him NOW. Time slips by so quickly, don’t miss this opportunity. If you want to pray and ask Jesus to be your Savior, you can say a prayer something like this: “Jesus, I know that I have sinned against you. I know the truth is that I have sinned by my own choice, and I am the one responsible for it. I know that I have earned punishment from You, and that the fair punishment would be death. Jesus, I believe that You died in my place. Forgive me for my sin. I cannot cover or take my sin away, I am relying totally and only on You. You are the only one who can save me. I reject my sin, I turn away from it, I repent. Come into my life, take away my sin, and show me how to live my life in a way that is right and pleasing to You.” If you have truly prayed this, or something like it, YOU ARE SAVED! (Romans 10:13) You are now completely forgiven, a new creation, innocent in the eyes of God. Welcome to the family of God! It is important for you to start to grow in your relationship with Jesus. Just like any relationship, you need to spend time with someone if you want to know them well. The way to know God is through the Bible. It’s also important to find a church you can attend where they teach the Bible. This will allow you to talk with a pastor who will help explain questions you might have, and it will give you a chance to spend time with other Christians who can encourage you. Please contact us and let us know about your new decision so we can encourage you and help you start this new life in Christ Jesus.